When it came to infiltrating the Nevada gaming industry, no American Italian mob was more resilient or resourceful than Detroit’s Tocco-Zerilli crime family. Over a three-decade period, the Detroit mafia was busted for maintaining hidden ownership in and skimming millions of dollars from three separate glitzy Nevada hotel and casinos. The Las Vegas Strip was first on the agenda. In the 1960s, it was The Frontier. In the 1970s, it was The Aladdin. Newly-released FBI records pertaining to former Motown mob boss Giacomo (Black Jack) Tocco shed fresh light on the organization’s final go-around in the casino business – the early-1980s infiltration of The Edgewater in Laughlin, Nevada, which yielded Tocco and his gangland buddies $10,000,000 in pilfered cash in just two short years (1981–1983). Laughlin is located 90 miles southeast of Las Vegas on the banks of the Colorado River. One key member of the conspiracy at The Edgewater was caught on an FBI bug lamenting the fact that they were “stealing too much, too fast,” and weren’t thinking “long term” enough in the way they were bilking the casino. Considering the lion’s share of the loot went into Tocco’s pockets, it’s doubtful he shared such sentiments. 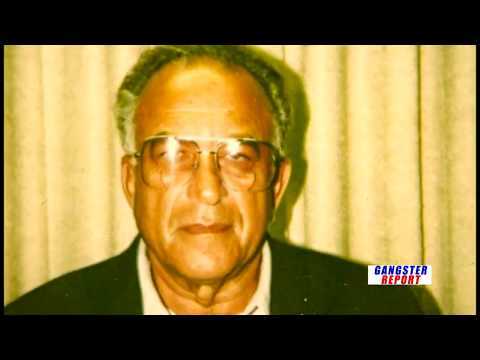 Black Jack Tocco was the son of the Detroit mafia’s first don Vito (Black Bill) Tocco and the nephew of legendary Motor City Godfather Joe Zerilli, a member of the mob’s National Commission. Polished and college educated, he was the consummate boardroom gangster, always considerably more concerned with corporate diversification and staying out of the headlines than traditional rackets and street corner squabbles. The Michigan crime syndicate’s initial foray into Vegas came with Zerilli’s son and Black Jack’s first cousin, Anthony (Tony Z) Zerilli, taking control of The Frontier. His bust in 1967 for hidden ownership in the casino and skimming $6,000,000 led to Black Jack assuming the role of heir apparent to the throne, Tony Z doing several years in federal prison and Tocco’s subsequent takeover of The Aladdin through a new series of front men. Longtime Detroit mob associate James (Jimmy Eyes) Tamer ran The Aladdin on a day-to-day basis as the property’s entertainment director. Jimmy Tamer and Jack Tocco co-owned Hillcrest Golf & Country Club in suburban Detroit. Tamer and others, but not Tocco nor any of his mob lieutenants, were nailed for their affairs at The Aladdin in 1978, leaving a void needing to be filled in the Tocco-Zerilli clan’s holdings portfolio. Enter Bill Pompili, a tall, well-dressed Detroit mob associate from Toledo, Ohio and a “box man” at The Aladdin. Pompili envisioned a new gambling palace to build and then plunder far away from the fast action and heavy heat of the Vegas Strip. He sold Tocco on the idea of constructing a luxury casino and hotel in Laughlin, a planned community and burgeoning boom town an hour-and-a-half drive away from prying eyes in the Mohave Desert. Mob activity in Toledo has been run by the Tocco-Zerilli Family in Detroit, since Michigan mafiosi linked to Black Bill Tocco and Joe Zerilli planted a flag for the Borgata in the area at the tail end of Prohibition. Known for being quiet and crafty, Pompili made a name for himself in Toledo as a top-rate bookie and backdoor casino man, operating games and taking bets at his Roman Gardens restaurant and bathhouse, the Sunningdale Country Club and a strip-mall storefront. FBI agents noted Pompili’s meetings with Detroit mob capo Vito (Billy Jack) Giacalone, who was responsible for the Toledo area on behalf of the Toccos and Zerillis, however, made little mention of his move west to work at The Aladdin in Vegas in 1975. Joe Zerilli died of heart failure in the fall of 1977 after serving 41 years as boss of the Detroit mafia and Black Jack Tocco officially took over the crime family in a June 1979 inauguration ceremony held at an upscale hunting lodge near Ann Arbor, Michigan where all the syndicate’s capos gathered and voted Tocco in as don. The day Tocco became boss was memorialized with photos snapped by FBI agents surveilling the top-secret affair from the outskirts of the Timberland Game Ranch property, located just outside Ann Arbor, home to the University of Michigan, in a sleepy town called Dexter. How did the FBI get tipped off to what was going on at the Timberland Game Ranch? Well, as it turned out, the feds had a mole planted smack dab in the center of Tocco’s inner circle: his driver, bodyguard and cousin Anthony (Fat Tony) Zito. So, when the Detroit mob got booted from The Aladdin and started to look around for another investment in Nevada, finally settling on The Edgewater in the months directly following Tocco assuming the reins, Fat Tony Zito clued the FBI into what was going on. Like the Tocco coronation in the summer of 1979, FBI agents were on hand to document the litany of meetings Tocco and his men had throughout 1980 to discuss the details and financing of The Edgewater deal. However, first on the agenda was ceremonial underworld diplomacy. During the first few months of 1980, Black Jack Tocco focused on cementing his ties in mob circles outside Michigan, traveling to a half-dozen major American cities in that time conducting introductory sit-downs with mafia dons in Pittsburgh, Philadelphia, New York, New Orleans, Providence and Florida (further intelligence gleaned from Zito). Once his foreign affairs were in order, Tocco turned his attention to his domestic agenda, namely getting The Edgewater deal off the ground. On the morning of April 17, 1980, an FBI surveillance squad tracked Bill Pompili on a flight from Las Vegas to Detroit and then followed him on a rental-car ride home to Toledo. That very same evening, another FBI unit in Michigan followed Jack Tocco and an oversized captain of his named Anthony (Tony the Bull) Corrado on the hour-long drive to Toledo to meet with Pompili, first in a room at the Holiday Inn and afterwards for a dinner at an Italian restaurant called El Grecos. The topic of discussion: building The Edgewater. Pompili brought with him a series of construction blueprints and a number of copies of an investment prospectus. Tony Corrado, a cousin of Tocco’s known for his substantial girth and affable, good-natured personality, accompanied Tocco on his trip for facetime with his fellow mob bosses. One of those meetings took place in Miami where Pittsburgh mafia don Sebastian (Big John) LaRocca brokered an introduction for Tocco to Buffalo mob boss Joseph (Lead Pipe Joe) Todaro. Among the topics discussed were the Detroit and Buffalo crime families potentially investing in an Atlantic City casino (The Golden Nugget) and Buffalo’s interest in possibly coming on as silent investors in The Edgewater deal. Tocco also reached out to the Chicago mob for investment capital. The relationship between the Detroit mafia and its counterpart in the Windy City had been strong since the days of Al Capone and the booze wars of the 1920s. The “Outfit” assigned its west coast crew boss, Las Vegas crime lord Tony (The Ant) Spilotro, who’s power-hungry antics and violent tendencies were already well-established in the Nevada desert, to handle the details of the transaction – Spilotro would be brutally slain gangland style in a suburban Chicago basement in the summer of 1986. On June 4, 1980, FBI agents in Detroit watched on as local wiseguy Pat (Parts) Carlini scooped up Spilotro crew rep Sidney (Sid Hudson) Hudash from the airport and drove him to a dinner meeting at the Roma Café in Detroit’s historically mobbed-up Eastern Market district with Tocco and his consigliere Raffaele (Jimmy the Goon) Quasarano. Hudash was of Lebanese descent and ran a large sports book out of a chain of dry-cleaners in Las Vegas. Carlini was one of Billy Giacalone’s guys and owned an auto transmission and carburetor shop on the Eastside of Detroit where members of the Giacalone crew frequently hung out. Two weeks later, on the afternoon of June 20, 1980, an FBI surveillance team in Buffalo observed Sid Hudson having lunch with Lead Pipe Joe Todaro and his son Joseph (Big Joe) Todaro, Jr. An informant in the Buffalo mafia told the FBI that Hudson came to town to talk “point distribution” for the Edgewater investment. In the first week of July, Hudson flew from Vegas to Detroit, was once again picked up by Pat Carlini at the airport and chauffeured to a dinner meeting with Tocco and Quasarano where the final particulars of the silent investments from Chicago and Buffalo were locked down. On July 21, 1980, Lead Pipe Joe Todaro, flanked by his son and Leonard (Lenny the Calzone) Falzone, a top lieutenant and trusted advisor of his, arrived in Detroit to cement the deal and FBI agents tracked the Todaros from the airport to a meeting with Tocco and Quasarano at Larco’s, a popular Italian restaurant in the Northwest part of the city. According to Tocco’s driver and cousin Fat Tony Zito, Buffalo was in for six points on the deal and Chicago got two points on its end. The Edgewater, designed as a six-story, 160-room structure with a state-of-the-art performance venue attached, was funded in a deal worth almost seven million bucks. Some of the initial investors were forced to divest themselves of shares in the casino because of licensing problems, yet still made off like bandits in the amounts they were cashed out for, all but one at least tripling their return. Tocco then shifted his focus to getting a front man licensed to own the casino on paper – Pompili was out of the question because of his criminal record. First, Tocco put up Emmett Munley, an executive at The Aladdin, and some Detroit-based backers, but Munley and his partners didn’t pass muster with the Nevada Gaming Control Board due to their alleged mob ties. Next up was a mostly-Canadian ownership group, led by Robert Robinson and Pompili’s pal Jimmy Roberts, who was once employed at The Aladdin. The Canadians were awarded an ownership license and hired Pompili as The Edgewater’s food and beverage director. Despite his meager official title, it was widely-understood that Pompili would be calling all the shots. As construction on The Edgewater was in full swing, Pompili got into a beef with a New York mobster in Las Vegas named Vincent (Jimmy D) Palmisano, the Gambino crime family’s rep on The Strip at that time. Palmisano had once ran a Gambino crew in Florida and recently re-located to Vegas. 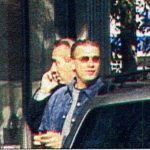 When word circulated of Pompili’s action in Laughlin with The Edgewater, Palmisano, unaware of his affiliation to Tocco and the Detroit mob, tried to extort him. At a meeting in a Las Vegas social club that got heated quickly with verbal barbs being heaved in both directions, the pair nearly came to blows. That sit down and future ones conducted regarding the Pompili-Palmisano quarrel were recorded by an undercover FBI agent posing as Palmisano’s driver. The undercover agent eventually worked his way into Pompili’s good graces and chipped in with intelligence in The Edgewater investigation. In early September 1980, Jack Tocco, Tony Corrado and Jimmy Quasarano met in the backroom of a mobbed-connected Detroit restaurant called The Corfu to discuss the flare-up in Las Vegas and Tocco instructed “Jimmy Q” to contact the Gambinos on his behalf and Corrado to fly out to Las Vegas to mediate a settling of differences. Corrado arrived in Vegas on the afternoon of October 3 and held a sit down with Pompili and Palmisano getting the pair to shake hands and mend fences. The Edgewater opened on November 24, 1981, the sixth casino and hotel to put up a shingle in Laughlin, Nevada. Pompili immediately employed two relatives in the casino’s main cashier station and he and his mob benefactors in Motown started robbing the place blind. One of Pompili’s most successful techniques to siphon money out of the casino was to have his pit bosses report non-existent slot machine jackpots and take the $5,000-to-$10,000 “winnings” directly to Detroit to be dispersed to Tocco and his pals. The FBI noted 34 trips made by Pompili from Nevada to Detroit over the next two years. Most of the time, he met with Billy Giacalone. Sometimes they met and Pompili turned over bags of cash in Detroit, sometimes it was in Toledo. Many times, Pompili didn’t even spend the night, returning on a flight to the desert that very same day. In the late summer of 1982, the feds got word from Fat Tony Zito that Pompili was set to meet with Billy Jack and Tony Corrado at the Holiday Inn in Toledo in the wake of Pompili being visited at The Edgewater by a pair of FBI agents and a Gaming Board official. On August 12, 1982, a frazzled Pompili complained to Giacalone and Corrado that they were “stealing too much, too fast,” and it was raising red flags. By 1983, the Detroit mafia had ripped off the joint for a cool 10 million in cash and The Edgewater was $7,000,000 in debt. That was the same year Tocco decided to get out of the casino business all-together, divesting himself of The Edgewater and selling his final shares of The Aladdin. While Tocco spent a good deal of time in Vegas getting VIP treatment at The Aladdin, he never set foot in Laughlin or on the grounds of The Edgewater, which today has grown to a 1,000-room, 26-floor, 57-thousand square feet two-tower gambling paradise. The ownership behind the Circus Circus casino and hotel in Las Vegas purchased The Edgewater for $17,000,000. Tocco arranged for the sale of his remaining stock in The Aladdin at a meeting in a Pompano Beach, Florida hotel suite on January 23, 1983 monitored by the FBI and attended by St. Louis mafia boss Mike Trupiano, a former Detroiter and childhood pal of Tocco’s “transferred” to Missouri in the 1960s after it was discovered Trupiano was bedding a Motor City mob administrator’s wife. A federal grand jury was impaneled in Michigan throughout 1986 to hear testimony on the mob’s involvement in The Edgewater. Jack Tocco, Tony Corrado and Billy Giacalone from Detroit and the Todaros and Lenny Falzone from Buffalo were all served with subpoenas and summoned to appear and each took the fifth. Bill Pompili died of cancer in 1987 living in Las Vegas. Big Joe Todaro is alleged to have succeeded Falzone as boss of the Buffalo Mafia. Falzone had taken over from Lead Pipe Joe in the 2000s. Charges in The Edgewater probe didn’t get brought until Operation Game Tax landed in March 1996, bringing down virtually the entire leadership structure of the Tocco-Zerilli crime family in Detroit and including the misdeeds at The Edgewater as predicate act offenses. The Todaros were unindicted co-conspirators in Operation Game Tax indictment. Tocco, Corrado and Giacalone were all convicted in the Game Tax case. Corrado died behind bars in 2002. Giacalone pleaded guilty in 1998 and did six years in prison. He admitted in open court to being a capo in the Detroit mafia. Found guilty at a 1998 trial, Tocco was only locked up for two years (originally sentenced to less than year until an appeal upped it to two). 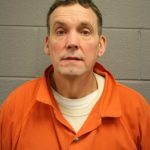 His punishment was controversial, raising quite a few eyebrows and drawing harsh criticism from the U.S. Attorney’s Office and the FBI. Ruling on the throne for almost another two decades, Tocco finally succumbed to heart failure in 2014.